Each legislative session, my office has the opportunity to request changes in state law. Our priorities this year address a range of important issues, including preventing youth access to tobacco, fighting fraud, promoting open government and supporting our state’s veterans and military service members. A complete list of our 2016 legislative priorities is available on our website here. My office does not tolerate scammers and we’ve put a couple more out of business recently. My Consumer Protection team took on one of the world’s biggest tech support providers to shut down a scam that harmed hundreds, possibly thousands of Washington consumers. The team also struck again in our ongoing crackdown on illegal immigration scams, this time shutting down a scam targeting Washington’s Russian-speaking community. It is simply unacceptable for millions of Washingtonians to be without access to essential 911 emergency services. I am calling for the maximum penalty against CenturyLink for the outage that left our state without 911 services for six hours. On the national front, I led a group of Attorneys General from several other states in filing a “friend of the court” brief in the U.S. Supreme Court supporting President Barrack Obama’s executive action on immigration reform. Last week, the high court announced it would review the case this session. Thank you for following the work of the Attorney General’s Office. Smoking is the number one cause of preventable death in the U.S. That’s why I’ve asked the Legislature to raise our state’s legal age to purchase tobacco and vapor products to 21. This common sense change to state l aw will save kids’ lives. The Centers for Disease Control and Prevention estimate that one in every 13 kids under age 18 today will die prematurely from smoking. That’s about 100,000 young Washingtonians. We know that 95 percent of smokers start before the age of 21, and 80 percent of kids younger than 18 get their cigarettes from schoolmates. Raising the legal age to purchase cigarettes and vapor products will reduce youth access. A new Elway Research poll released this month shows an overwhelming 65 percent of Washingtonians support raising the sale age of tobacco to 21. Commissioned by the Campaign for Tobacco Free Kids, the poll found strong support from every region of the state, including 66 percent in Eastern Washington and 70 percent in Western Washington in support. Additionally, the poll found strong support across political ideology, with 66 percent of Republicans and 72 percent of Democrats supporting increasing the tobacco and vapor product sale age. Support for the measure in Olympia is growing. This year, 25 State Representatives and 10 Senators from both parties are sponsoring the proposed law change. 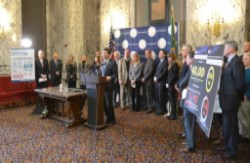 Governor Inslee, Secretary of Health John Wiesman and a broad array of stakeholders support the bill, including the American Cancer Society, the American Heart Association, the American Lung Association, and the American Academy of Pediatricians. This month, supporters gathered for a press conference, which included testimony from a high school senior who shared her concerns about youth access to cigarettes and vapor pens on campus. You can watch the press conference video. You can track the status of Senate Bill 6157, sponsored by Sen. Mark Miloscia (R-Federal Way), and its companion bill, House Bill 2313, sponsored by Rep. Tina Orwall (D-Des Moines) on our website here. Washington has long been at the forefront of the fight to protect youth from the dangers of smoking. This common-sense change in our law will continue our leadership by making Washington the second state, after Hawaii, to change the legal tobacco and vapor product sale age to 21. Tech support scams are a significant problem, and my office will not tolerate Washingtonians being victimized. Microsoft estimates 71,000 Washingtonians lose $33 million each year to these schemes. I recently teamed up with Microsoft and AARP to announce a lawsuit against iYogi — one of the biggest independent tech support providers in the world — to halt a scam that harmed hundreds, maybe thousands of Washington consumers. We believe the company used deception and scare tactics to pressure consumers into buying unnecessary tech support services. Washington victims lost up to $540 each. Our lawsuit seeks to recover money for these victims and put an end this company’s illegal activities. More information about our case against iYogi, along with consumer tips and information for victims can be found in this release. When scammers prey on Washington residents working hard to follow complex immigration laws, the Attorney General’s Office will t ake action. In addition to financial harm, this illegal activity is particularly insidious when it jeopardizes the legal status of unsuspecting immigrant consumers and threatens their ability to live and work in the U.S.
My office has made a concerted effort to crack down on this type of fraud. We recently took action against an Everett man accused of targeting the Russian-speaking community. Michael Bendzar has been offering illegal “immigration services” for about two years through more than 70 ads he placed in Russian-language publications. In his promotions, Bendzar presented himself as a “notarius,” which in many Russian-speaking countries refers to an attorney or person with advanced legal training. Washington’s Immigration Services Fraud Prevention Act specifically prohibits this type of deception. My office will continue to crack down on such scammers. This release provides more information, tips to avoid being scammed, resources to find legitimate immigration assistance and information on how to file a complaint with the Attorney General’s Office, including a link to our website. I am pleased the United States Supreme Court has agreed to review during its current term President Barack Obama’s 2014 executive action to reform our country’s immigration system. I recently filed a “friend of the court” brief in the case (Texas v. United States), supporting the President’s action. In Washington alone, about 105,000 people could move into the legal workforce if President Obama’s plan took effect, increasing the state’s tax revenues by an estimated $57 million over the next five years. The president’s action will improve public safety, help keep families together, and aid our economy. Our brief argues that the reforms enable working families to participate more fully in American society, earn a fair, legal wage and pay their fair share of taxes, which benefits states by raising revenue and reducing demand for social services. Medicaid Fraud is a huge problem here in Washington and across the country. Every dollar lost to scammers represents fewer dollars available to help those in need. The Attorney General’s Medicaid Fraud Control Unit protects Medicaid funds from waste, fraud, and abuse. In 2012, the Legislature expanded our authority to fight these crimes by passing the Medicaid Fraud False Claims Act (FCA), which has allowed us to recover an additional $6.1 million. However, unless the Legislature acts, the FCA is set to expire in 2016. A newly released Joint Legislative Audit Report reinforces the importance of the FCA to our ability to fight Medicaid Fraud. 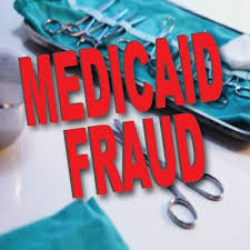 The Medicaid Fraud False Claims Act Sunset Review final report recognizes the enormous benefits to our state and encourages the Legislature to renew the False Claims Act. Since the act's passage, civil fraud recoveries have increased 28 percent, and the state has recovered $3 for every $1 invested in enforcement under the act. Washington cannot afford to let this law expire. This Legislative session, I have re-introduced my agency-request bill to reauthorize the act, sponsored by Sen. Ann Rivers (R-La Center). A companion House bill is sponsored by Rep. Laurie Jinkins (D-Tacoma). 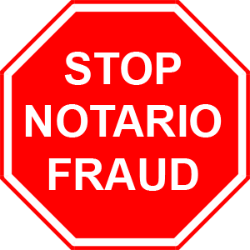 This bill must pass to prevent the current act from expiring on June 30, 2016, which would deprive the state of an effective tool to fight fraud. 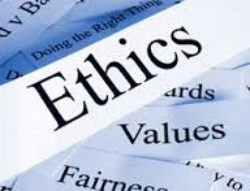 Washington’s ethics laws need to be updated to address the loss of public trust that occurs when high ranking state employees and elected officials move to the private sector to work as paid lobbyists. Under current law, many state officials and employees can leave a state job on Friday and start work on Monday as a lobbyist paid to influence former colleagues. This “revolving door” creates the appearance of special access, unfair advantage, and conflicts of interest. To prevent this undermining of public trust, I have proposed a bill to establish a one-year lobbying prohibition for former high-ranking state officials and requires disclosure of where former officials are employed after state service. I have also proposed Senate Bill 6171 and House Bill 2353 to enhance government transparency by increasing penalties for violations of Washington’s Open Public Meetings Act. More information about these bills is available in this release and on the 2016 Legislative Agenda section of our website here. 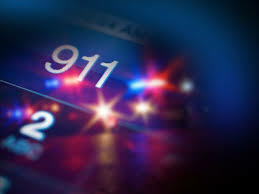 CenturyLink should pay the maximum penalty for the 2014 outage that left Washington state residents without 911 services for six hours. More than 5,600 emergency calls failed during the outage. The problem was caused by a preventable coding error, compounded by failure of the software’s back-up measure and then the company’s failure to quickly realize and respond to the crisis. CenturyLink must be held accountable for the severe impact this outage had on public safety. The circumstances call for the maximum regulatory penalty. I have urged the Washington Utilities and Transportation Commission (UTC) to reject a $2.9 million settlement proposal and instead impose the maximum regulatory fine of $11.5 million. The Commission held a hearing on Jan. 12 to consider penalties for CenturyLink and has not yet announced its decision. This news release provides more information on the case and the Attorney General’s role in representing customers of state regulated utilities. SUBSCRIBE to have The Ferguson File sent straight to your inbox each month.